On Saturday - November 17, 2018, Department of Information and Communications Technology (DICT) Acting Secretary Mr. Eliseo Rio Jr. announced through his Facebook account that the National Telecommunications Commission (NTC) En Banc may now issue the confirmation order for Mislatel (Mindanao Islamic Telecommunications) to be the new provisional third telco player in the Philippines if the consortium - made up of Udenna Corporation, China Telecom, and Chelsea Logistics Holdings Corporation - meets all of the qualifications for it. 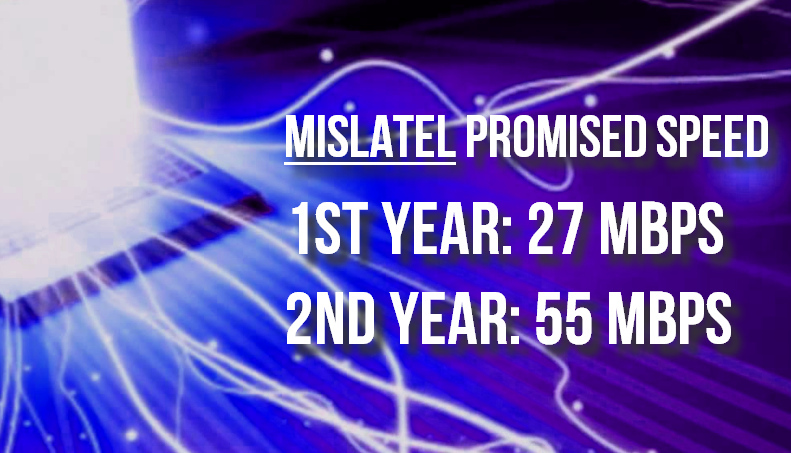 According to Mr. Rio, "Mislatel made a commitment to greatly improve our telecommunication industry that can bring us at par with Singapore and is putting a hefty performance bond [of PHP 24 Billion] if they fail in its commitments in a 5-year period. [...] For the first time in our history, we required a new telco player to come up with time-bound commitments and putting their money where their mouths are." He added that one of the best ways that Mislatel can fulfill its promised internet speeds is to use all existing facilities and services of the other small players, including the fiber optic cable network of PT&T and Converge ICT, the satellite network of Chavit Singson's SEAR, and the Fiber-On-Air of NOW, among others. If the consortium will do this, Mislatel will allow these local companies to be more profitable. On top of that, Mr. Rio shared that the initial filing fee and documentary stamps of the required 10B equity, the yearly Spectrum Users Fee (SUF) and Supervision & Regulatory Fees (SRF) will greatly increase the income of the Philippine government. Its total committed investment of PHP 279 Billion will generate a number of jobs for Filipinos. But exactly how fast are the supposed Singapore-like internet speeds that Mislatel Consortium has promised to deliver? Well, the joint venture between China Telecom and the businesses of Davao-based tycoon Mr. Dennis Uy has pledged a minimum speed of 27 Mbps in its first year and 55 Mbps by the second year of operations. As of writing, the average mobile internet download speed in Singapore is at 57.28 Mbps. In the October 2018 Global Index Report released by Ookla SpeedTest, the Philippines ranks 97th in the world in terms of average mobile download speed at 14.11 Mbps. If we can eventually increase this to 27 Mbps through Mislatel's efforts in its initial year of operations and provided internet speeds in other countries will stay the same, our ranking can go as high as 55, rivaling United Kingdom and Saudi Arabia.